Tornos News | Greek Tourism Secretary General Evridiki Kourneta resigns "for reasons of political dignity and order"
Greek Tourism Secretary General Evridiki Kourneta resigns "for reasons of political dignity and order"
"The latest developments do not allow me to continue to offer my services," she said. 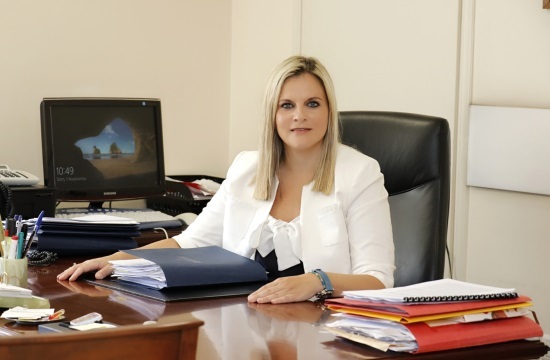 Evridiki Kourneta, the secretary general of the Greek Tourism Ministry Evridiki Kourneta, has submitted her resignation. Greek Minister of Tourism Elena Kountoura accepted the resignation and thanked Ms. Kourneta for her cooperation and contribution to the implementation of the Ministry of Tourism's strategy. Kourneta posted on Facebook the following: "Today I essentially completed my circle as General Secretary of Tourism after two years of creative and productive work. Standing by my principles and positions, for reasons of political dignity and order, I am forced to resign. The latest developments do not allow me to continue to offer my services."